Georges Seurat was a key post-impressionist painter who changed the course of modern art by his use of latest scientific theories on color and light and it's relationship to optical theories. His monumental masterpiece A Sunday on La Grande Jatte, not only shook the foundations of the art world by its use of the divisionist technique of applying small points of unmodulated color to be mixed in the viewer's eye instead of the artist's palette but also the obvious mixing of people from different social classes out for a leisurely Sunday, by the Seine, each enjoying nature in their own way. 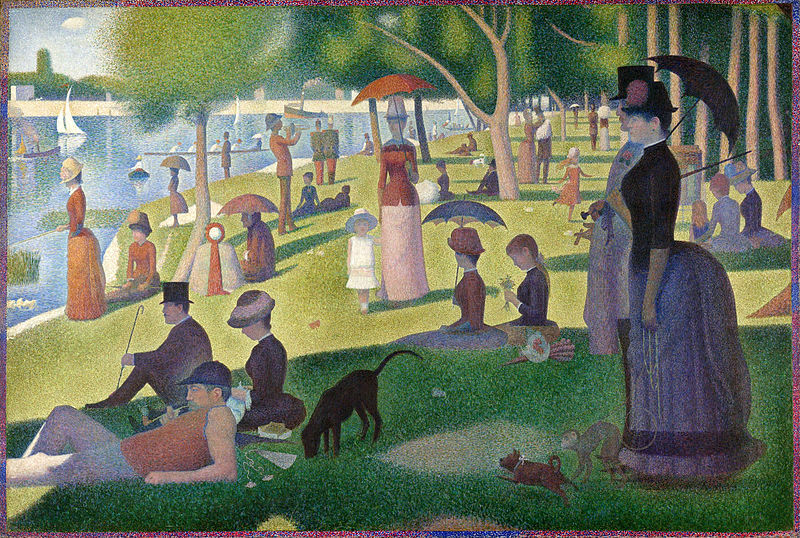 Seurat, who exhibited this painting in the last Impressionist exhibit in 1886 was only 26 years old at the time. He came from a wealthy family who supported him throughout his life that ended at age 31. 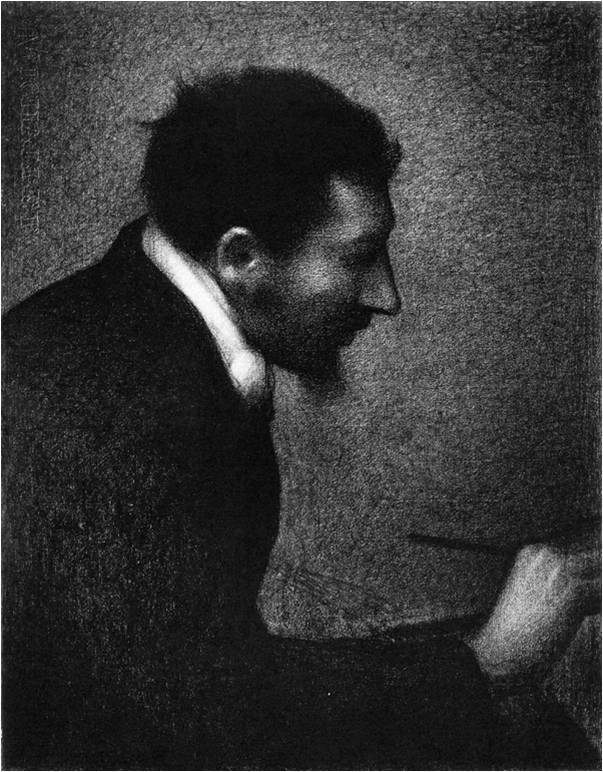 Georges Seurat started his artistic career with a very classical training at the Ecole des Beaux-Arts but quit after a year and half. Following a mandatory year of military service, he continued working on black and white drawings and small scale paintings. Only four years after leaving art school, he started the project that would take two years to complete and end up to be this monumental canvas. 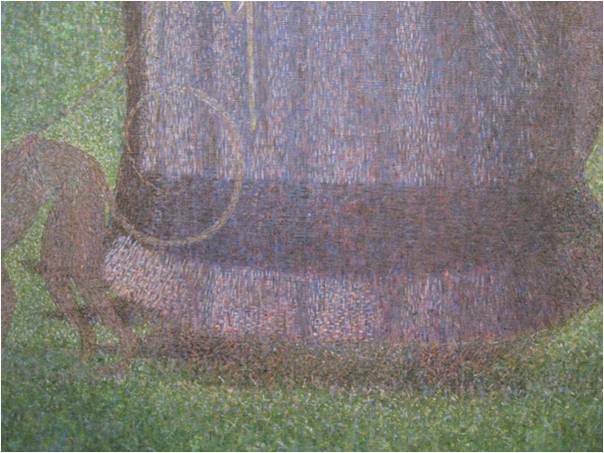 Georges Seurat was very interested in art from antiquity, in Greek and Roman sculptures. In his works there is a tension between the contemporary, popular culture and references to elite high art of Egyptian, Greek and Romans. 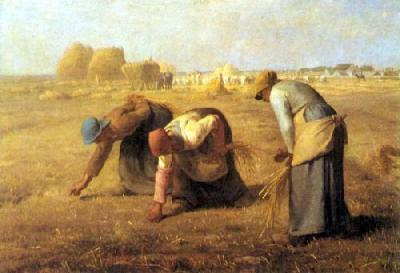 He also looked to the work of early 19th century artists like Gustave Courbet, Francois Millet as well as Impressionists like Camille Pissaro. 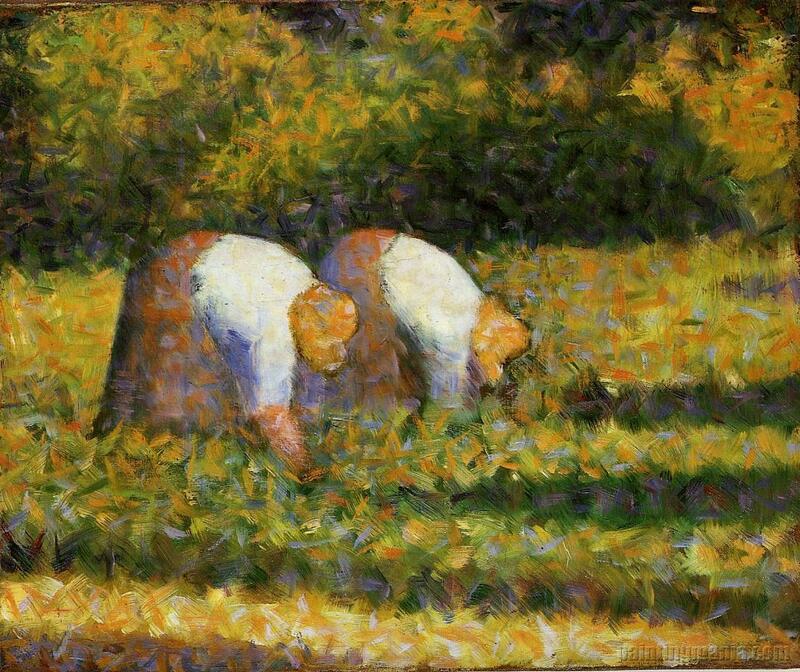 In his early work, Seurat was interested in the 19th century obsession of peasant in the field imagery. In the Farm Women at Work, it is easy to see him looking to Millet. He has taken the two figures from The Gleaners and reversed their directions. The yellow sunlight reflecting off of the green grass demonstrates his desire to represent light, like Monet. The one fundamental difference in Seurat's work is the way he put down the reflected lights next to the local color of green in the grass by what is called balaye, a criss-cross brush stroke. In order to create a more vivid and luminous effect, he used juxtaposition of tones of similar colors next to each other for the viewer's eye to blend them on the canvas. Seurat's interest in luminosity, the linear design element and the extremely important edges of objects can all be found in his black and white drawings in conte crayon on Michallet paper. These drawings were not preliminary sketches but drawings done as finished works. 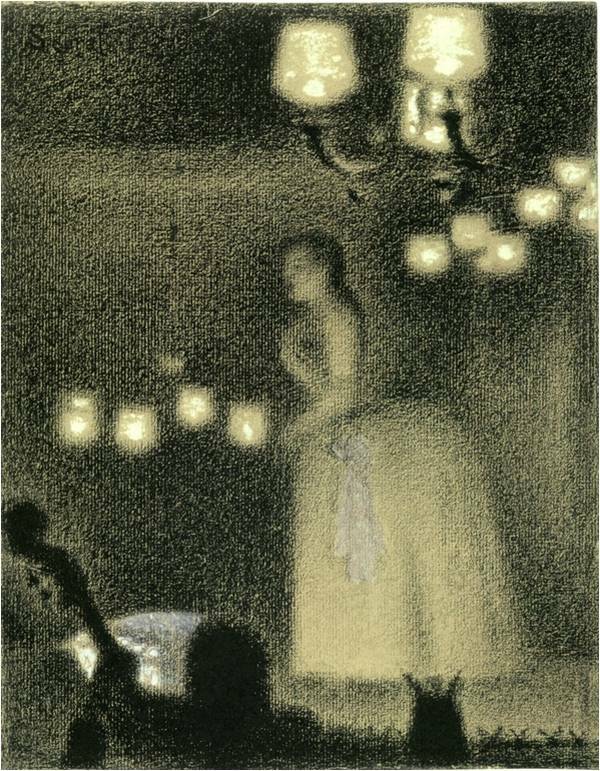 He would fill in his subject with conte crayon and then take out the light areas by erasing them, darkening the edges so the lighter area would separate the figure from the background. The texture of the paper would not allow the crayon to absolutely soak into the paper, allowing the light of the background to shine through, enabling to create lightness. 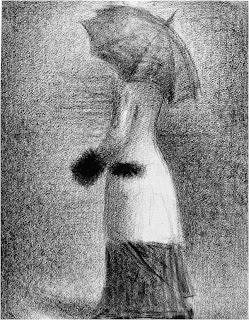 In these drawings, Seurat achieved an aura-like effect around his figures which can be seen very clearly around the umbrella in The White Coat. 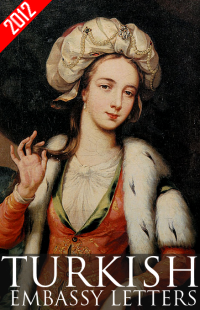 To make his subjects pop out, he began to darken the edges like the man's nose in Aman-Jean and the woman's skirts in The White Coat, this helped to separate the figure from the background. He used the same technique in his paintings as well and the darkened edges caused not only the figures to pop from the background but also helped to reinforce each figure's own space. 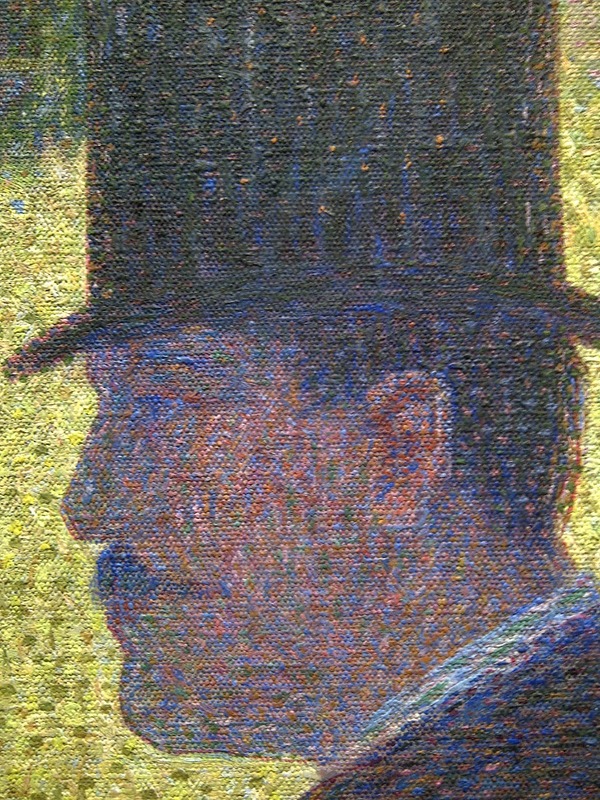 Even though there is an ambiguity surrounding the exact message Seurat was trying to convey in his art as to whether it was a critique or praise for the modern way of life, his technique seem to work to great effect in all his works. Yours is the only site I've been able to find that recognizes: "Seurat achieved an aura-like effect around his figures which can be seen very clearly..." please visit my site, http://candlelight-story.com/chromaluminarism.html. I trust You'll find it interesting, I plan to visit your corner often.